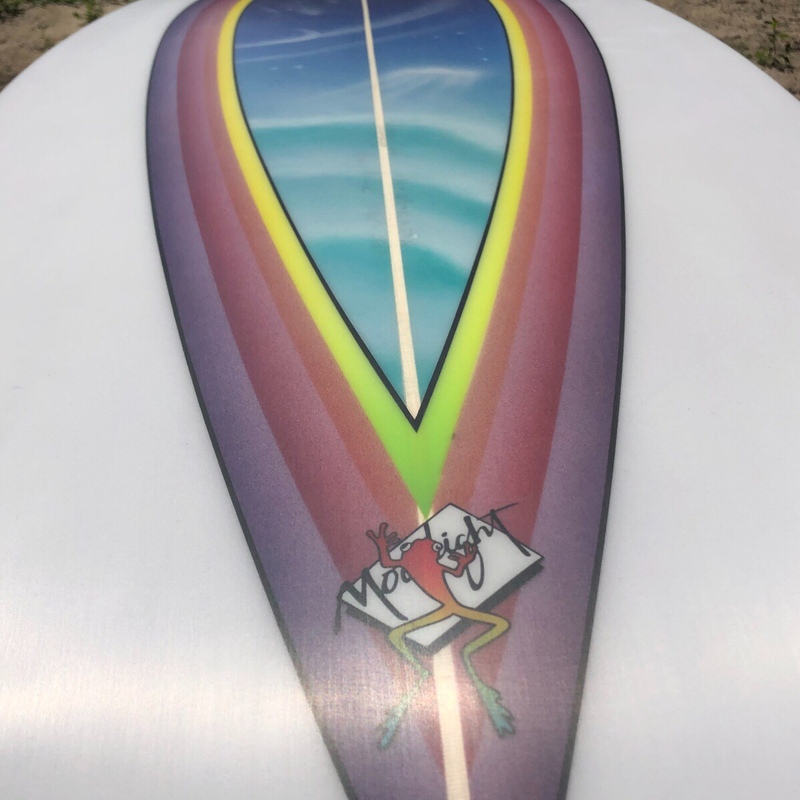 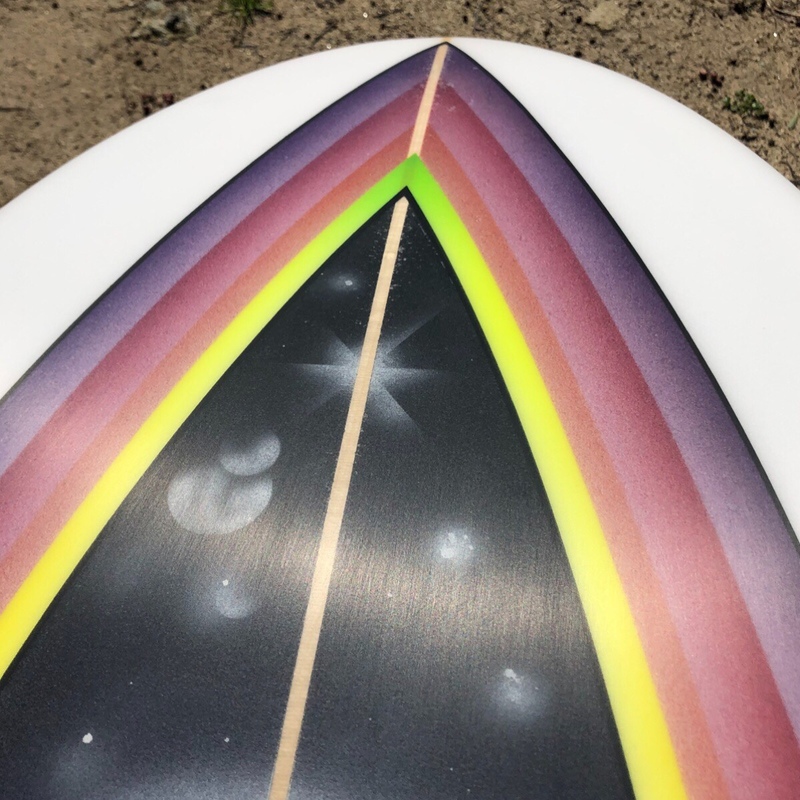 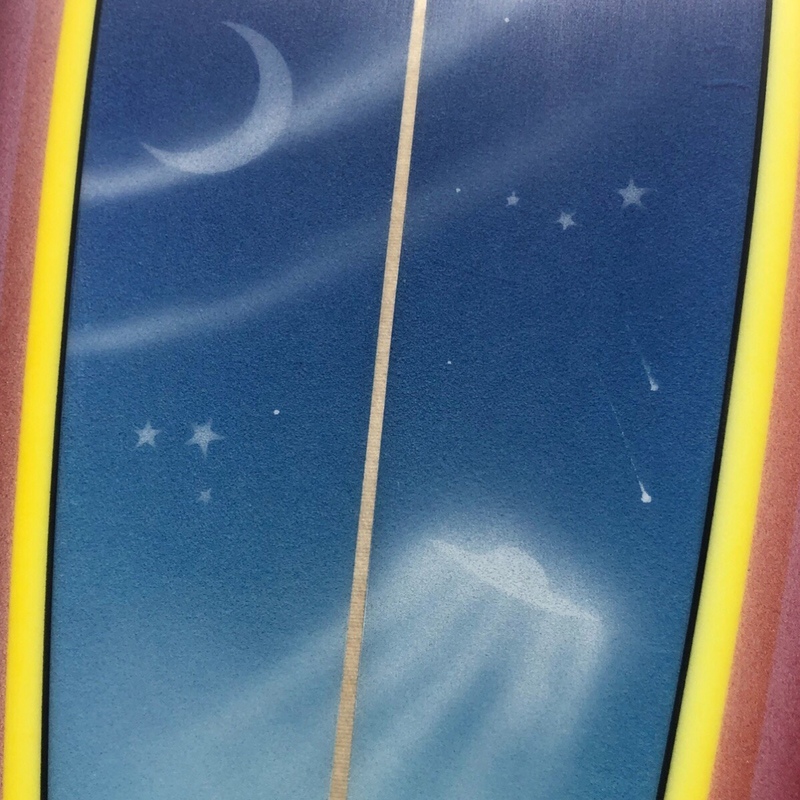 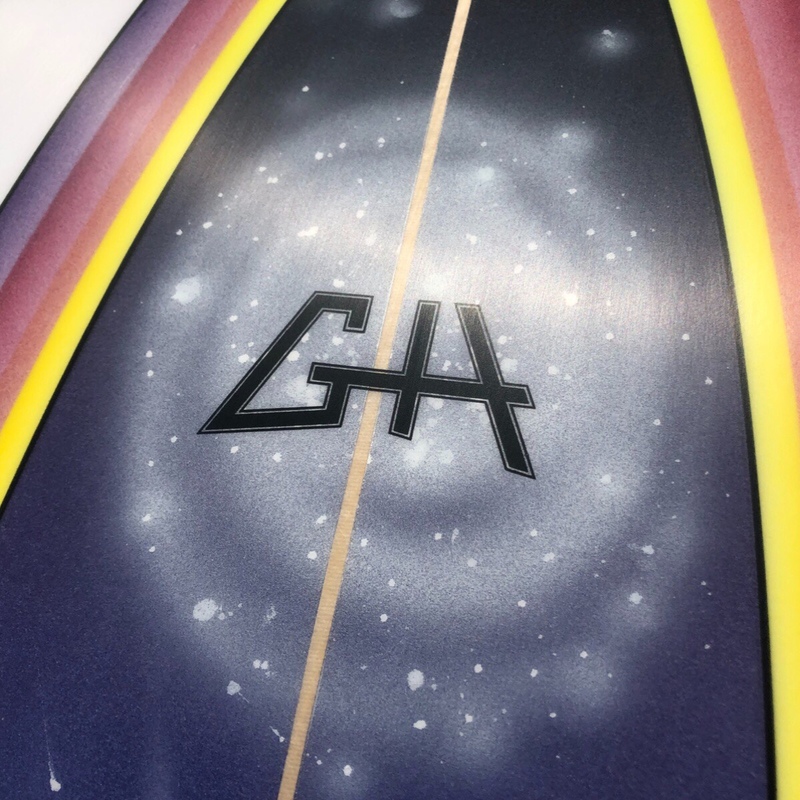 6’6″ custom Gary Hanel Egg for Geoff. 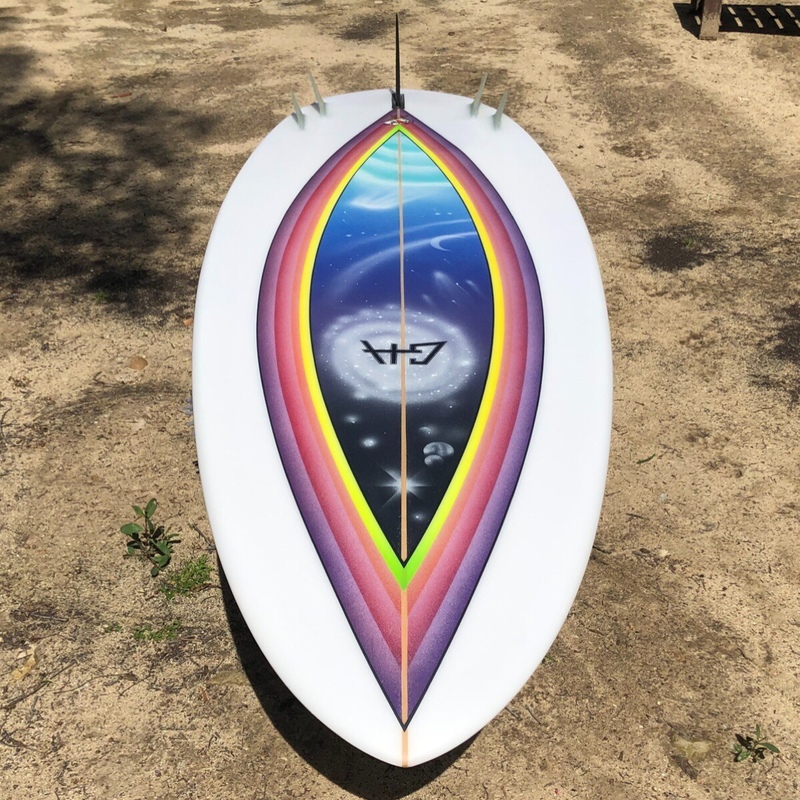 Powered by the Campbell Brothers Bonzer system. 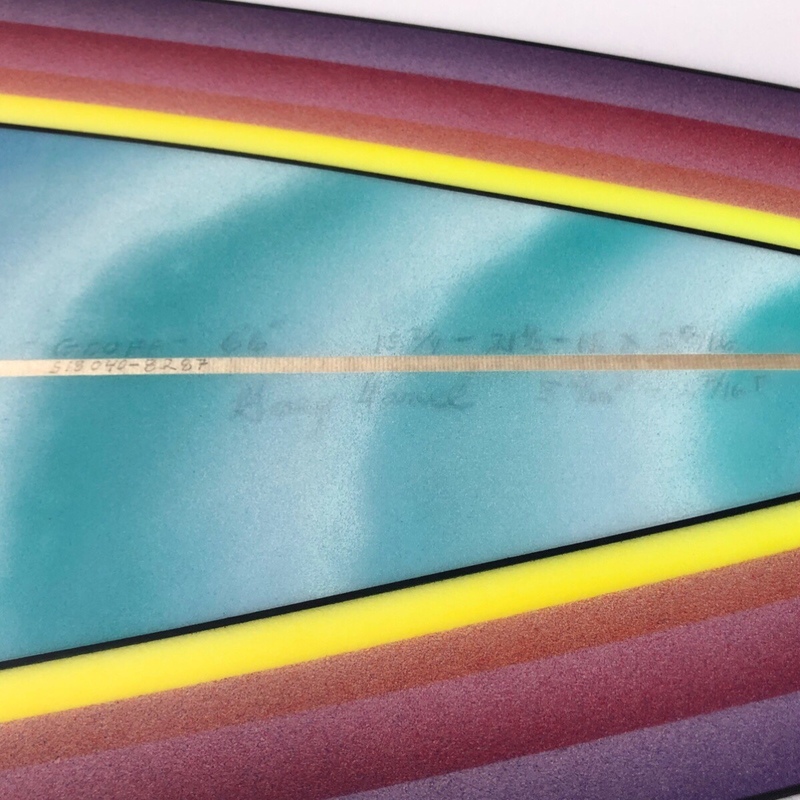 Featuring GH’s custom cutaway “cuda” bonzer side fins. 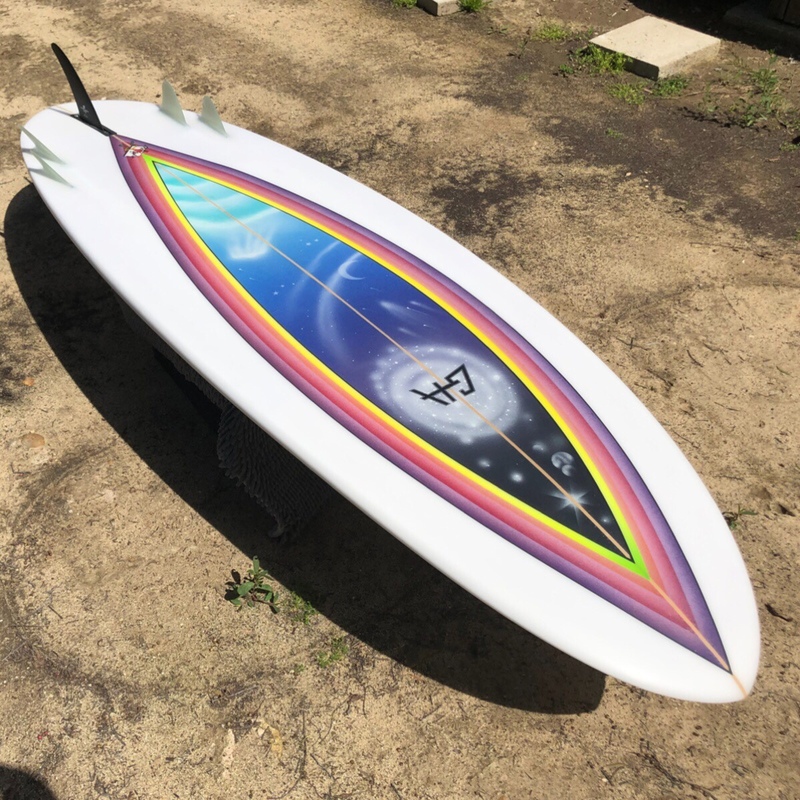 Cosmic airbrush by Peter St. Pierre. 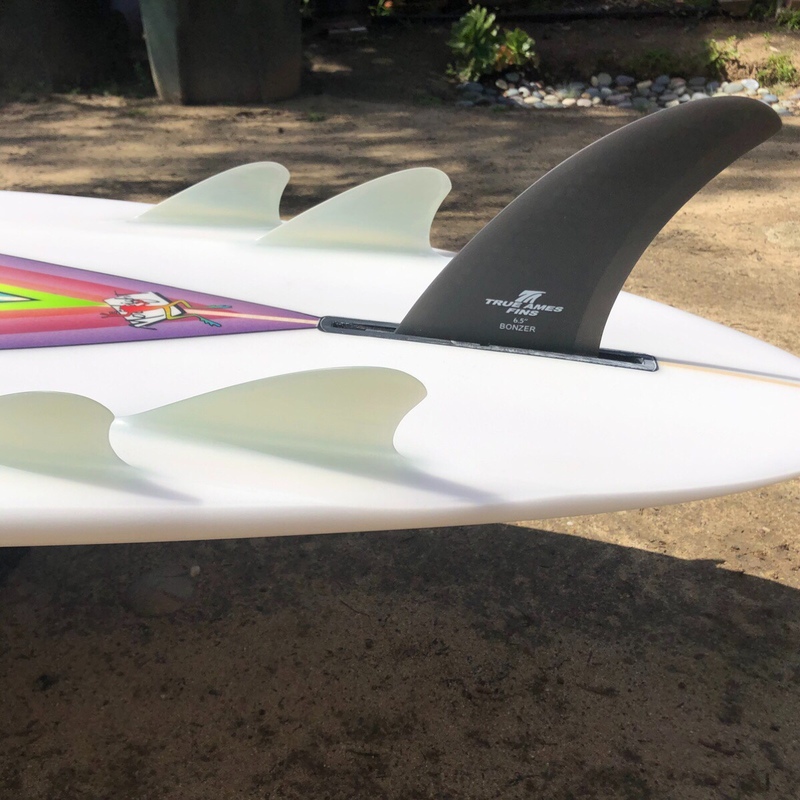 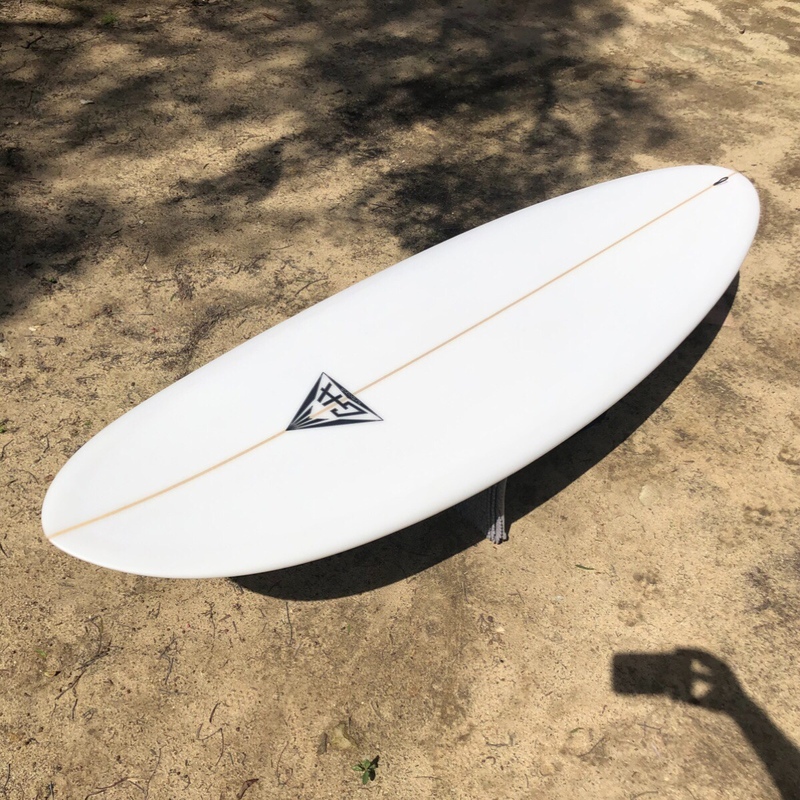 6.5″ True Ames Hexcore center Bonzer fin.